Rescue mission was organized in the area of Cabot Strait, when the Ro Ro vessel Highlander was caught in thick ice. 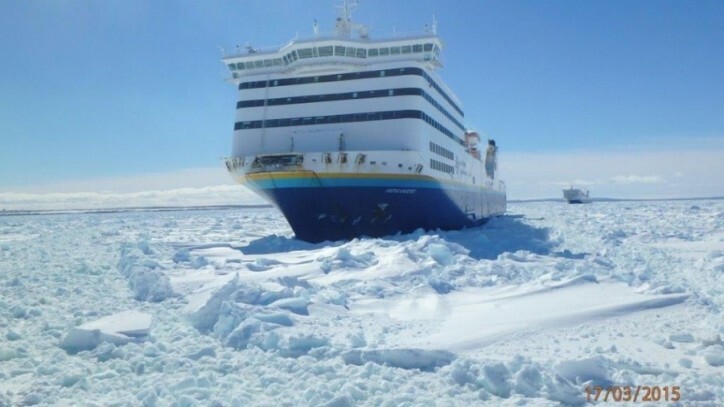 The ship was on its way from North Sydney to Port aux Basques, carrying on board 190 passengers. Shortly after the first request for assistance was launched, the Canadian Coast Guard icebreaker Louis St. Laurent arrived at place and broke the way for both vessels to move to Port aux Basques. There were no reports of injuries, no pollution was released.